The International Women’s Day 2019 campaign theme is #BalanceforBetter, a call for action that asks employers around the world to take a new and closer look at how their employee culture celebrates success and nurtures leadership in the women in their employ. What is #BalanceforBetter all about? This year’s campaign is focused in on, as you probably guessed, gender “balance,” with the aim of having success become balanced across gender lines. How balanced are we now? In the wake of an Ontario Municipal Election that saw an increase in women running (27% of candidates) AND elected to council seats, we have a measurable achievement toward balance that is worth celebrating! The even better news is that Municipal government can bring women and their voices to the table in other powerful ways – both by applying a gender lens to community engagement and by looking within at how we engage and support our female employees. The best news of all is that 84% of respondents said that their company supports women in leadership, and the same percentage say their company culture allows women to succeed. Let’s talk about #3 for a second. Women are reporting that their company supports and allows women to succeed, but the reality is still that significantly more men are sitting in powerful leadership positions than are women; Just 8.5% of the highest-paid positions in Canada’s top 100 listed companies are held by women. So what’s going on? At the core, the problem is this: we’re expecting women to act like men in the workforce. Organizations have a hard time recognizing leadership potential in women, women play full-out to “not fail” as opposed to “winning” and often express dissenting views in more diplomatic and therefore less impactful ways. 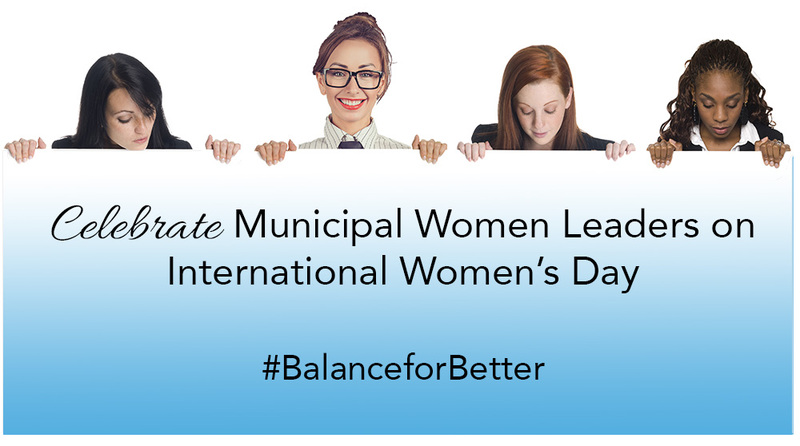 As leaders in our communities, municipal offices have the opportunity (and responsibility) to set the standard for supporting women in leadership. So what do women want? Luckily, we already know! Our key takeaway from these studies? Leadership and confidence development are the missing elements that can hold women back from seeking and securing advancement. Many organizations have done away with generic gifts such as that set of four glasses, logo etched desk items or the standardized framed photo in favour of personalized “Thank You’s” based on the interests of the recipient. Employees, in turn, feel more respected and valued when they receive something that they actually want. So how can we identify the best recognition ‘gift’ for those willing to take on additional responsibilities or a new role? In the spirit of #BalanceforBetter, here are 5 fabulous, empowering ways to celebrate your women leaders! 1. Review what you do to promote your female staff members from within. Organizations around the world are struggling with this key metric of success: leadership development. A good place to start is by looking inside your municipality for those people with the top factors in leadership potential—those traits or attributes that make them the best people for the job. It can be easy to get distracted from focusing on leadership potential, and instead to promote people who have been there the longest, who work the hardest, or who are daring enough to ask for it. These things make a great employee, but not necessarily a great leader. Develop an individualized plan of personal and professional development for those you identify that are strong in 3 or more of those factors. This can be as formal as a path or growth map developed in your HR system, that measures results orientation, strategic orientation, collaboration and influence, team leadership, developing organizational capabilities, change leadership, and market understanding. Or, it may be as informal as consciously bringing those candidates into discussion (“We are playing with this idea and would love your feedback.”), or sharing opportunities more proactively (“This training is available and I think it would be very rewarding for you.”). 2. Help your women achieve the mindset and communication and leadership skills that allow them to advance with confidence and resilience. Consistently, we have seen that women need to evolve their own leadership style and develop skills that support their advancement. The reality is that this is true of men, too, we just do a better job of supporting and validating their natural leadership style. Women often have a harder time advocating for themselves and asking for their voice to be heard. They’re more likely to want to hear what everyone else has to say, and to want to find and create solutions that feel like a positive and effective compromise. To help them to nurture their strengths, and build new ones, municipalities can provide powerful leadership trainings. In doing so, we’re not only helping our leaders develop stronger leadership skills, we’re subtly telling women that we value and respect their unique leadership styles. Offer training in a range of key leadership and communication skills – so that women can increase their ability to be heard, express and defend their opinions, and make an impact. Workshops or lunch-and-learns allow your people to grow where they are, alongside their co-workers, so that integrating these new skills into the workplace is more natural and comfortable. This can also allow you to establish better opportunities for networking and discussion among employees, and create a general shift in workplace culture. Build in some connection time so that women can explore and develop their understanding, build relationships and practice selling their ideas in a small group, lower stakes environment. By formalizing a system of mentorship, mentoring becomes not only accepted, but expected. This could include assigning a mentor to an up-and-coming woman leader, building mentoring into the work schedule and designating an office or meeting space for mentoring. In this way, not only can experience and history be shared, but through mentorship, we are able to reduce the fear of failure, combat Imposter Syndrome, and add perspective to the risk-taking that is inherent to advancement. These are all big ticket issues for many women wishing they could take on a bigger, more impactful role. Do some match-making to select the right mentor and train both mentor and mentee to understand how this relationship works. You may even want to facilitate a mastermind in your workplace or in your community. All this isn’t to say that recognition and thank yous are passé or somehow no longer of value! It’s absolutely still a powerful way of supporting your employees. If you don’t already have a system for recognizing your employees’ success and victories, consider scheduling in celebrations of your women leader’s achievements through your intranet or internal newsletter and at meetings. Work to identify key qualities, actions and attitudes that led to that success to inform and inspire the leader herself, as well as others who look to her as a role model. The more specific and clear we make our praise, the more valuable and inspiring it is. Just as we all benefit from gender balance, so can both genders benefit from these suggestions. Men and women alike flourish in the context of appropriate promotions backed by training, mentorship, and recognition. As we strive for #BalanceforBetter, everyone benefits. Cher is a Leadership Confidence Coach who helps individuals transition into leadership roles by banishing anxiety, building confidence and resilience, and through communications, media, and presentation skills training. She offers a range of Workshops, Virtual Lunch and Learns, Speaking Engagements and group or 1:1 Leadership Confidence Coaching. Find out more about how Cher supports women leaders at http://chercunningham.com. When you experience failure, loss, or a serious setback do you see it as temporary or permanent? Is failure an event or who you are? Is it a learning or crushing experience? Does it traumatize you or become a springboard for growth? Confucius said, “our greatest glory is not in never falling, but in rising every time we fall.” That’s the thinking behind Japan’s Daruma Doll, a good luck charm with a rounded bottom. When knocked down, it bounces right back upright. We tend to think of unwavering steadfastness and never-say-die persistence as important leadership qualities. To a point, they are. But resilience in the face of the hurricane-force winds of change is as often about being flexible like a palm tree rather than unbending like an oak. Like so much of life, it’s about balance. W.C. Fields was on to something about resilience when he quipped, “If at first you don’t succeed, try again. Then quit. No use being a damn fool about it.” Sometimes the wisest thing to do is to let it storm, find shelter, and look for an alternate route to our dream. Maybe it wasn’t even the right dream; we may need to accept what the universe is trying to tell us and reset our destination. Psychologists Gregory Miller and Carsten Wrosch contrasted and studied people who are relentless and unbending and people who accept and flex with life’s twists and turns. They found that flexible people were much healthier than their steadfast counterparts. Stress levels were quite a bit lower, and a protein indicating bodily inflammation linked to diabetes and heart disease was much lower. The flexible, resilient group was able to bounce back more effectively from serious defeats, less likely to dwell on the past, set new goals, and get on with their lives. How we use the F-word (failure) has a major impact on our personal, team, and organizational effectiveness. Failures are inevitable. Suffering is optional. Posted in Administration, Human Resources, Newsletters for Municipalities, Public Works, Team Building, Training | Tagged Chief Administrative Officer, Human Resources, leadership, Municipalities, Professionals | by The CLEMMER Group Inc.
Joel’s a high IQ manager with strong analytical skills coming from a deep technical background. He hates meetings (“they get in the way of real work”) and resents having to sell changes or get people on side. “I don’t care if they like me,” he’s fond of saying, “I only want their respect and implementation.” He likes nothing better than solving tough technical problems with practical, well-designed solutions. He runs his organization “by the numbers.” He focuses on continuously improving existing processes and technologies. He sets high targets and relentlessly drives everyone to meet them. Joel’s always the smartest person in the room (at least in his mind). Irrational, emotional behavior drives him nuts. He often dismisses contrary points of view with comments like, “That’s only their perception, that’s not reality.” He then proceeds to prove “reality” with facts, rational arguments, and analysis. Denise balances a concern for people (high EQ) with a strong technical background. She realized some time ago that leadership work often happens in meetings. So, she has trained and worked hard at developing her facilitation and team leadership skills. Denise sees possibilities in people. She believes that people want to take pride in their work and be part of a winning team. She’s learned that motivation or morale problems are often rooted in leaders failing to engage people in the broader ideals of the organization. As more people search for meaning in their lives and in their work, this disconnect creates much of the frustration and lack of purpose found in so many workplaces today. Denise works hard at connecting people to her organization’s vision, values, and purpose. Denise’s high energy and optimistic attitude sets a strong and positive emotional tone throughout her organization. People are inspired to face tough problems with confidence and teamwork. Denise uses a collaborative approach to partner with people. She sees people as adults who are generally self-managing (with some exceptions). Joel treats them like kids to be managed “with a firm hand” (with some exceptions). Denise cares about people. Joel dehumanizes and objectifies them. Denise uses the power of persuasion (leadership) to get things done. Joel uses position power (management). Denise builds a cause and case for change, appealing to the head and heart to get buy-in. Joel tries to overcome resistance to change with facts and force; like someone traveling in a foreign country who can’t speak the local language, he’ll just talk louder to be understood. Denise shares as much information as she can and builds strong multi-channel and multi-directional communication loops. Joel gives people information on a need-to-know basis; he only “empowers” people as a motivational technique to manipulate people to do what he wants. Denise partners with people so they feel naturally empowered to reach their mutual goals. We see plenty of Joel’s — and not nearly enough Denise’s. Their differences are obvious enough. Whom would you rather work for? Who is the stronger leader? Who is likely to get the best results? Would your team consider you to be most like Joel or Denise? Posted in Administration, Communications, Human Resources, Newsletters for Municipalities, Team Building, Training | Tagged Chief Administrative Officer, Human Resources, leadership, Municipalities | by The CLEMMER Group Inc.
Posted in Administration, Communications, Human Resources, Newsletters for Municipalities, Team Building, Training | by The CLEMMER Group Inc.
With years of travel I’ve experienced the full range of frontline servers. Some are warm, friendly, and genuinely want to help. They seem to have bounced out of bed that morning thinking “how can I brighten our customers’ day?” Others are sour and surly. For them, customer service is an oxymoron and a huge pain in the paycheck. A minority of servers are born to serve or born to snarl. It’s the large group in the middle that makes or breaks an organization’s service levels. They could go in either direction. Their customer service efforts reflect the service levels they’re getting from the organization. This link is consistent with research by Disney Institute and McKinsey & Company as reported in “Put Employees First to Delight Customers“, “American Express Boosts Customer Service with Transformed Leadership and Culture“, and a Wharton study showing to improve customer service, treat your employees better. Draw a customer-partner chain for your organization. Start with a key customer segment and work your way back through external partners and each team or department to external suppliers. Help everyone see where they fit in the big picture. 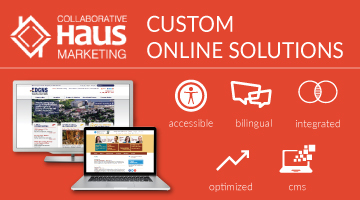 Regularly bring the voice of the customer and actual customers into your organization. Take support staff who rarely deal with customers out to meet them. Update customer and internal partner performance data frequently (daily or weekly) and make visible to everyone. Work with servers to systematically identify root causes of service problems and involve them in a continuous improvement process. Post service trend charts and customer experience/process maps for all servers to keep score and stay engaged in the improvement process. Continuously ask servers to identify and prioritize what’s getting in the way of higher service levels and involve them in addressing the issues. Make it easy and painless for internal partners to raise issues and concerns. Respond promptly and systematically to analyze the trends for improvements. Many leaders feel they can’t do much to change behaviors and culture. But overwhelming research shows that’s not true. Leaders have a major impact on “the way we do things around here.” A team or organization’s culture ripples out from its members and leaders. The single biggest key to transforming a team or organization’s culture starts with its leaders defining and developing their behaviors. Teams and department/divisions with exceptionally strong leaders build thriving peak performance local cultures even if the bigger culture they’re part of, and leader they report to, are weak. Organizational culture exists simultaneously and independently at three levels: the unit/team, department/division, and entire organization, and those micro or main cultures can be enriched at any level. Rate yourself on this checklist. How’s your leadership? How’s your leadership team? Bring customers, customer advocates (salespeople are excellent ones) and front line service deliverers to key planning and operational sessions. Put on an apron or pick up the phone and serve customers without being introduced as top leaders. You’ll be sending important signals. And might even learn something. Serve your producers and servers. Continually ask them what the leadership team can do to help them provide higher levels of service/quality. Hold managers accountable for serving their teams. Overlook weaknesses unless they’re clearly causing problems and must be addressed. Develop and nurture strengths that align with the individual’s passions and what the organization needs from him or her. Celebrate, honor, cheer, applaud, reinforce, laud, praise, extol, and otherwise reinforce all behaviors that exemplify your core values and desired culture. Ensure leaders are first in line for leadership and key skill development. Model those skills in meetings, coaching activities, and team decision making and planning. And having senior leaders deliver those sessions to the next level of managers infuses the training with a whole new sense of priority. Search out and destroy all executive status symbols, perks, or privileges that contribute to the “we/they” gap. Agree on three or four Strategic Imperatives that will strengthen your culture. Establish cross-functional teams to lead those changes and set a rigorous follow through process with regular updates to the leadership team. Get unfiltered and anonymous feedback on your leadership effectiveness with 360 assessments. Build personal and team development plans around that feedback that leverages strengths and addresses any “fatal flaws.” Involve others in your personal and team development process. Hold regular meetings with team members in groups and individually to discuss your leadership and culture development progress. The most effective communication is face to face. The most believable communication is behavior. You can watch our recent Executive Team Building and Culture Development webinar for a deeper look. Good managers often have strong technical expertise and analytical skills. They love to jump into the details and resolve tough problems. Effective leaders resist the quick-fix, I-can-do-it-better-myself temptation. 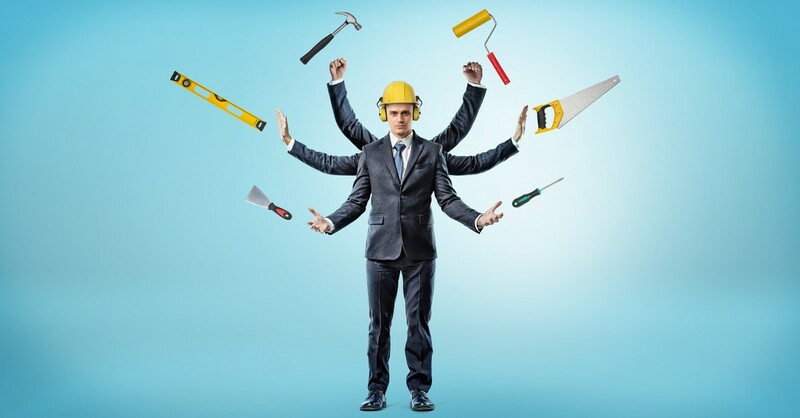 He or she knows such do-it-yourself projects reinforce the upward delegation cycle (“Hey, boss. Here’s another one for you to solve”). This leads to him or her becoming ever busier while team members’ growth is stunted, and the organization slows down to the pace of the stressed-out manager. The sad story of hard driving entrepreneurs or upwardly mobile and ambitious managers choking their organization’s growth is an all too familiar one. These entrepreneurs and managers become the barrier to the organization reaching its next level of growth. These managers don’t make the transition from running operations to building a team that runs operations. Their own stunted leadership growth prevents them from making the critical transition from driving and directing to coaching and developing. A manager sees people as they are. And they’re often a growth choke point. A leader sees people as they could be — and nurtures that potential through strong coaching and development.